One of the things that has been keeping me so busy over the past several weeks is attending a Couponing for the Kingdom Bible Study each week that is taught by my “in real life” blogging buddy from Thrifty Texas Penny. Over the past few weeks I’ve learned a bunch and started to work my new found knowledge to product “magic” at CVS. I now love to come home and brag to my MIL–LOOK! I got these 9 awesome products for under $1 a piece! One of my “splurge” areas has always been body & bath products. While I love me some affordable makeup there is something about body washes and lotions that leaves me always gravitating back to my high end specialty store brands. While I was staying with my mom over Christmas she mentioned that they’d tried several body wash brands lately that they had picked up at Walmart but had that specialty body & bath feel. I was a little surprised and said I’d have to check them out. When I was sent a bottle of Dial Coconut Water Body Wash I had high hopes that this might be just what my mom had been talking about! The androgynous look and smell would make this body wash be perfect for the entire family if you wanted it to be–but the subtle notes of floral make it just a touch girly with an overall really fresh, light, and clean smell to it. I was very happy with how much it lathered up–that’s usually my biggest complaint about big box store brands–they just don’t have that delicious foamy lather! As you can see in my picture, however, Coconut Water Body Wash provides a thick and creamy foam that’s just perfect for scrubbing up all over! All this for a product I’ll be able to use some of that CVS and Wal*mart magic to get for next to nothing! Looks like I might be changing my must have splurge items after all! Even better! Right now Dial® is running the Healthier Skin. 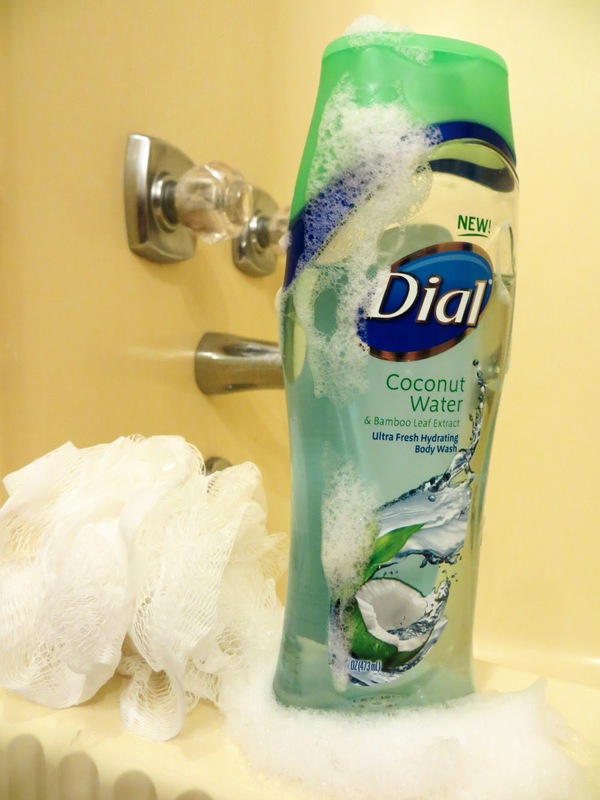 Healthier You.® Sweepstakes featuring Dial® Coconut Water Body Wash! One lucky grand prize winner will receive $1,000, while 250 second place winners will receive free Coconut Water Body Wash. Awesome right??!! But don’t worry–even if you don’t win the sweeps One Lucky Reader from my blog will get to try out Dial Coconut Water as well! Previous Previous post: Mamavation, Motivation, & Makeup!